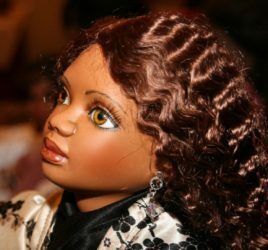 The National Black Doll Museum (https://nbdmhc.org/),, conveniently located at 288 N. Main Street in nearby Mansfield, MA (free parking) is a national treasure and the only museum of its kind, a nonprofit formed on the collection of three sisters: Debra Britt, Felicia Walker, and Tamara Mattison. 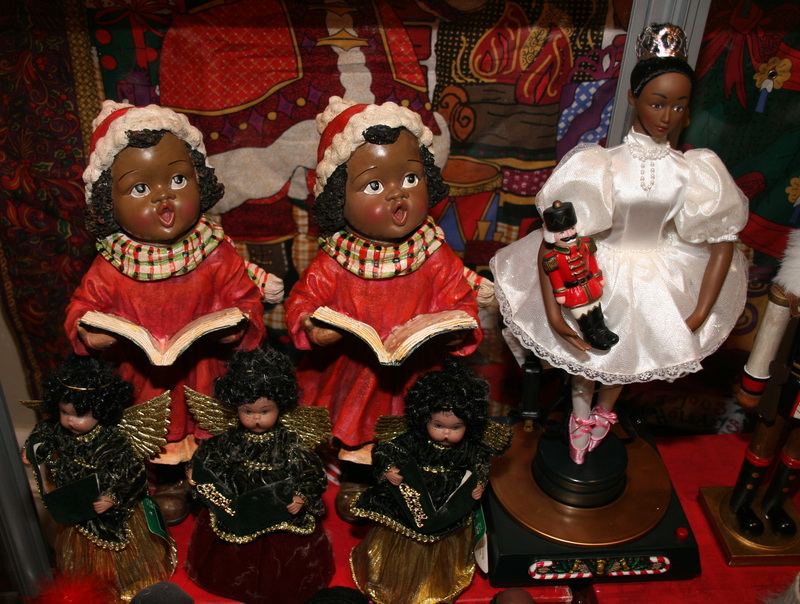 Ebony Village, a celebration of the Christmas holidays through the eyes of Black culture. ) 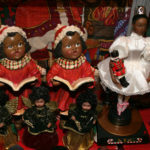 The holiday collection of 250 black Santa’s (and Mrs. Santa’s) of all sizes,125 tree toppers, Christmas figurines, and ten trees boasting 1,000 African and/or Black-oriented ornaments (out of a total collection of 2,500). 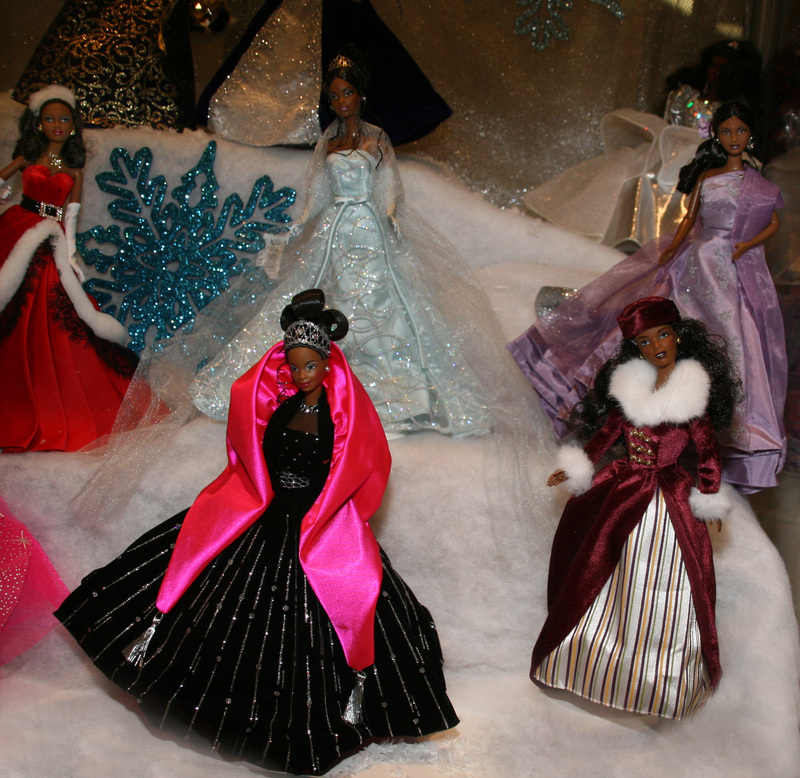 The Santa’s include “motionettes”, musical, sport, hip hop, and light up figures, among others. On Saturday December 17, the Museum will host an early celebration of Kwanzaa. The celebration includes; Candlelight Ceremony, Performances, and interactive workshops, food from the soul will also be available. 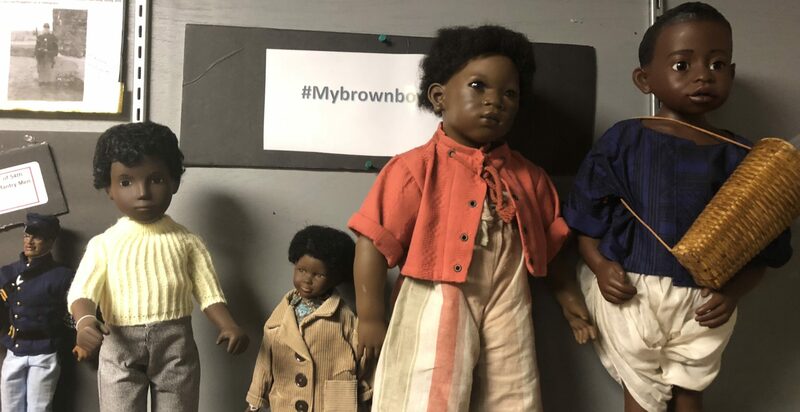 With the help of patience of family members, they began a collection of Black holiday memorabilia and introduced them at 11 libraries in southeastern Massachusetts – free of charge and on their own time – and doubled that number in the second year by public demand. In subsequent years, the exhibit, now requiring two trucks for transport, appeared in Upham’s Corner and Codman Square in Boston and Brockton City Hall before the Museum opened for the first time in Mansfield in 2012.